Last night, I finished the first (and only) season of the US remake of the British TV series Life on Mars. I thoroughly enjoyed it–in fact, I enjoyed it much more than I thought I would. I plowed through the series in four days. For those who haven’t seen it, the plot of Life on Mars is thus: In the year 2008, a cop named Sam Tyler is in an accident and wakes up in 1973. He has no idea what’s happening to him, or even if it’s real. The series is his journey to figure out what’s going on and how to get back to 2008. Check him out. What a quality actor. He was the sole redeeming quality of Terra Nova, which I desperately wanted to like, but there just weren’t enough dinosaurs. 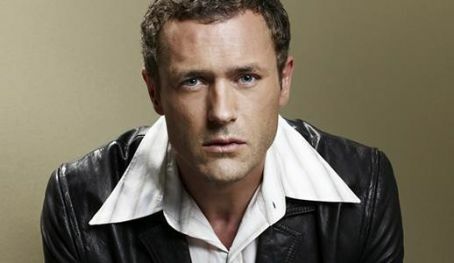 But back to Jason O’Mara. He looks so good in a jacket. Unf. Life on Mars was supposed to be a multi-season affair. However, the series was cancelled in its first season. The writers got wind of it ahead of time and were able to wrap up the series in the final episode, revealing the truth of how Sam had ended up in 1973. Yeah, that would’ve been my reaction. In fact, I’m still feeling kind of ripped off. With that ending, I feel like the whole series was pointless, that Sam went through all that stuff for no reason, and accomplished nothing in the end. I’m sure the ending would’ve felt better (and less tacked-on) if the series had been able to play out for more than a season. The ending was rushed, but there was no getting around it. Still, despite the too-quick ending, I still heartily recommend Life on Mars. Have any of you seen Life on Mars? What did you think? Oh, and if you’ve seen the original British version, should I watch it? Previous Post BIG NEWS: Updated Flicker Content!